What Does Green Tea Do for the Body? Vitamin K is a fat-soluble vitamin that your body uses to help blood clot and to strengthen bones. The daily adequate intake for adults over age 19 is 75 micrograms for women and 90 micrograms for men. Your body is able to make vitamin K from the bacteria in your gastrointestinal tract, but you can also get it from your diet. If you take blood-thinning medications, speak to your doctor about the amount of vitamin K you should take or if you should limit your intake, because vitamin K can affect how these medications work, according to Medline Plus. Your doctor may also recommend that your daily intake of food with vitamin K be consistent. In 1 cup of raw green beans cut into 1/2-inch pieces, there are 14.4 micrograms of vitamin K. This provides 19 percent of the adequate intake for women and 16 percent for men. Green beans also contain 12.2 milligrams of vitamin C and 690 International Units of vitamin A. A medium apple with a 3-inch diameter, has 4.0 micrograms of vitamin K per serving. 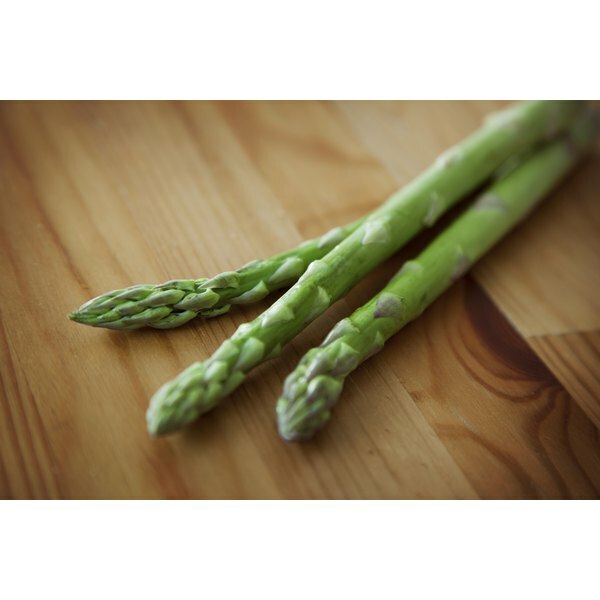 This provides 5 percent of the vitamin K adequate intake for women and 4 percent for men. This size of apple also provides 8.4 milligrams of vitamin C and 98 International Units of vitamin A. Other vegetables and fruit are sources of vitamin K. A 1/2-cup portion of kale contains 531 micrograms of vitamin K, while the same portion of spinach provides 444 micrograms. A 1-cup serving of blueberries or blackberries has approximately 29 micrograms of vitamin K.
Stacey Phillips is a registered dietitian and nutrition writer. She has had articles and patient information handouts published in the "Renal Nutrition Forum" and the "Journal of Renal Nutrition." She holds a Bachelor's degree from the University of Illinois in Champaign-Urbana and a Masters degree at Central Michigan University. Which Foods Contain Vitamin B-5? Does Celery Help Cleanse the Body?